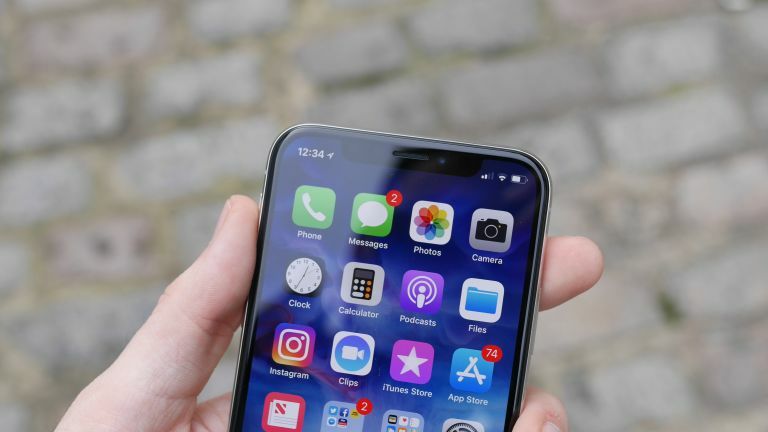 Considering how many minutes a day you probably spend looking at your iPhone (and if you don’t know, iOS 12 is about to tell you), you might be surprised how many hidden features you’re overlooking that could save you time and hassle every day. Here are our top 10 tricks to make any recent iPhone a little bit handier than ever. If you habitually double-tap your Home button and swipe up on all the ‘open’ apps to ‘close’ them – well, don’t. Sure, swipe up an app if it’s glitching. Otherwise, you’ll save time and battery life by leaving apps alone, so they don’t have to reset when you re-open them. Exceptions? Apps that use GPS in the background, like Maps. With an iPhone 6 or larger, it’s a juggle to tap every part of the screen using only one thumb – essential when strap-hanging on the bus or texting while parenting. iOS can help. Double-tap (not press) the Home button for Reachability, shunting the display halfway down. This also facilitates the ‘tap to top’ gesture, where you touch the very top of the screen to move to the start of a list (you knew about that, right?). Reachability is turned on and off in Settings > General > Accessibility; it’s off by default on the iPhone X, but if turned on is activated by swiping downwards near the bottom of the screen. For one-thumb typing, tap and hold the emoji key and pick the first icon to squish the keyboard towards the left (or the third icon if you use your right hand). Asking Siri ‘Take me home’ should get you the relevant directions. If not, tap your name at the top of Contacts, then Edit, and enter an address tagged as Home. You can give Siri other information, too. If the contact called Jill is your sister, say, ‘Hey Siri – Jill is my sister.’ From now on, ‘Call my sister’ will phone Jill. Select anyone in Contacts, tap Edit, scroll down and tap Ringtone. Not only can you choose a sound specific to that person, you can change the vibration associated with their calls, so even with your phone on silent you’ll know who’s trying to reach you. Besides some standard patterns, Create New Vibration lets you tap in your own. So what if you set the boss to Darth Vader’s Imperial March? They can’t hear it. When you can’t take a call, you can tap to respond to it with a preset message. That’s legal while driving in the UK if your iPhone is in a fixed holder. Set messages in Settings > Phone. To auto-reply to texts, you’ll need to use Do Not Disturb While Driving, found (in iOS 11 and higher) under Settings > Do Not Disturb. If set to Activate Automatically, this triggers when your iPhone detects car-like movement. Better, pick Manually, and in Settings > Control Center > Customize Controls tap the plus icon for Do Not Disturb While Driving. Now whenever you’re busy you can swipe up from the bottom of the screen and tap the car icon. Anyone who texts you, if they’re in your Contacts or Favorites, will receive the Auto-Reply message set at the bottom of Settings > Do Not Disturb. You can store up to five fingerprints in Settings > Touch ID & Passcode. Take the time to do both thumbs, for when you’re holding the phone, and both forefingers, for when it’s on a desk, and you’ll never have to fumble again. Your iPhone doesn’t automatically minimise energy usage as much as it could. If you often have to hunt for a power socket, consider tweaking your Background App Refresh settings, reducing your screen brightness, using Low Power mode and limiting Location Services. You’ve used iOS’ Timer (from Control Center or the Clock app) to play a sound after a chosen period. But did you know it can also stop sounds playing? Tap When Timer Ends, scroll all the way down and pick Stop Playing. Tap Set and start your timer. Whatever audio you play – from the Music app, iPlayer Radio or whatever – will fade out after the set time. Nighty-night. You’re about to hand your iPhone to a co-worker, relative or child to read something on your screen, take over a phone call or try a game. What could possibly go wrong? To limit the risks, be prepared. Turn on Settings > Accessibility > Guided Access, tap Passcode Settings and set a passcode (separate from your unlock passcode) or choose Touch ID (or Face ID). In future, open the app you want your friend to use, press the Home button three times, and tap Guided Access and then Start (if asked). Now only this app will work until you log back in. Software upgrades bring shiny new features but make your phone go slower. It’s a fact of life, right? Maybe not. Apple promised this year’s version, expected around 18 September, would not only run on older iPhones but actually make them faster. Many beta testers have reported it’s true. Check your iPhone’s current iOS version in Settings > General > Software Update. If it’s 11.0 or higher, you can install iOS 12, which will appear here when it’s released. You might want to hang on a bit, though, both in case of early glitches and because Apple’s servers get very busy on release days.